If you’re struggling with anxiety, depression, or life in general, it can be tough to open up to a stranger to discuss your issues. Who wants to hear about your struggles in life? Your friends may not even want to hear you ramble on about how you feel. It’s not uncommon for people to suffer longer than they have to simply because they’re afraid of being judged, criticized, or both if they go see a counselor in Surrey. You’re not alone when it comes to seeking out help. At some point in every single person’s life, help is needed, and it’s worth the initial discomfort to seek out a counselor or success coach to assist you through your hard time. 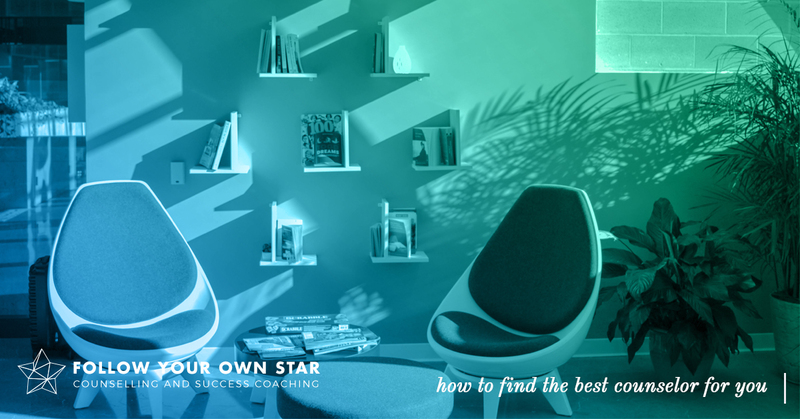 If you’re not sure how to find the best counselor for you, we’ve put together a list of seven ways. Read on to learn more! Initially, this may seem daunting. You’re seeking help, but you don’t want others to know about it. The first step in seeking help is to acknowledge that you want or need it. The next step is to ask for help. Approach a trusted friend or family member and ask them for help. You can ask them if they know of anyone seeing a counselor or success coach in the area or if they know of anyone you could call to discuss scheduling sessions. If you’re dealing with depression, anxiety, or some other issue, you will want to find a good counselor, not a convenient one. The goal is to help you work through and relieve yourself of the pain or discomfort you may be feeling. If you decide on a counselor that’s convenient you may or may not get the help you need. It may seem odd, but the gender of your potential counselor could play a role in how you heal. Some people are more comfortable speaking to a woman. Maybe you prefer to speak to a man. Your past trauma and/or current discomfort could require you speak to a woman or a man in order for you to heal. This is a little more difficult to determine by simply searching online. Also, you may not know which path to take for you to heal. However, when you contact potential counselors, ask them how they will approach helping you. You may hear answers like cognitive therapy, psychodynamic therapy, behavioral therapy, or something else. You can then do your own research prior to committing to sessions or at least know which type of path you’ve taken after sessions. If you’ve decided on a few counselors in Surrey, give them a call. Discuss what you’re going through, and ask how they think they would help you. The goal here is to see how you feel when talking to them. In most cases, you may feel slightly awkward or nervous. This is normal. But also take note of how they make you feel once you’ve spoken to them for a bit. Trust your intuition on this one. Depression, anxiety, and hopelessness are all issues that can dampen our life. If you’re struggling with any of these or all three, give Francesca a call today. She can help you find relief and restore your life to the joyous experience is used to be.